We are veteran Massachusetts residents and know how important it is to have the excellent functioning air conditioner throughout the year. It plays an integral part in the overall well being and health of your family. It is well known that the air conditioner is responsible for keeping you and your family members cool and comfortable. It also needs to eliminate airborne allergens and dust that is circulating within your homes and affecting indoor air quality. Affordable Heat and Air Company knows well about the need for regular services, ways to maintain the performance of the unit and keep the expenses down. Thus, we provide various preventative measures that would cater to your individual requirements. Our experts perform everything and take essential steps to maintain the AC system in the best working condition. It includes checking refrigerant levels and evaluation of the system components. Whenever we perform a visit, we offer our customers with a clear report about the functioning and status of the HVAC system. At Affordable Heat and Air Company, we remain dedicated when it comes to serving our clients on monthly energy expenses. If you are using an older unit, there are chances for you to face high energy bills. Moreover, it also fails to function at best efficiency. We suggest clients select the latest model and more energy efficiency AC unit. The latest systems are well known for using less energy and also offers the best cooling system. There are even situations where our customers purchase a new air conditioner to replace their broken units. This way, they can receive manufacturer rebates and tax rebates. Our technicians are factory trained, and we are confident that our customers can enjoy excellent service in the first approach itself. We have completed several repair services for both commercial and residential properties, and most of them are due to bad installation or wrong unit selection. If you are selecting HVAC service from Affordable Heat and Air Company, you can surely remain in a peace of mind and think that your unit would start to function just like the new one. By choosing one of our maintenance packages, it is sure your AC unit would remain in good working condition for the rest of the years. Get the best features by from the existing heating and cooling system by approaching Affordable Heat and Air Company. Plan for a discussion today and put a full stop to your repeated air conditioning issues. Most companies charge additional fees when they are approached after working hours or during late hours. However, at Affordable Heat and Air Company, we offer emergency services to clients at an affordable and nominal fee. We do not charge extra when you call us at late hours. Whenever you experience an odd smell or noise from the unit, the system fails to start; you can immediately get in touch with our experts. Our experts answer your call and ensure to be at your place in the next few minutes. We would never charge extra when you approach during emergency situations. It means our only aim is to offer a comfortable and enjoying environment without hurting your bank account. 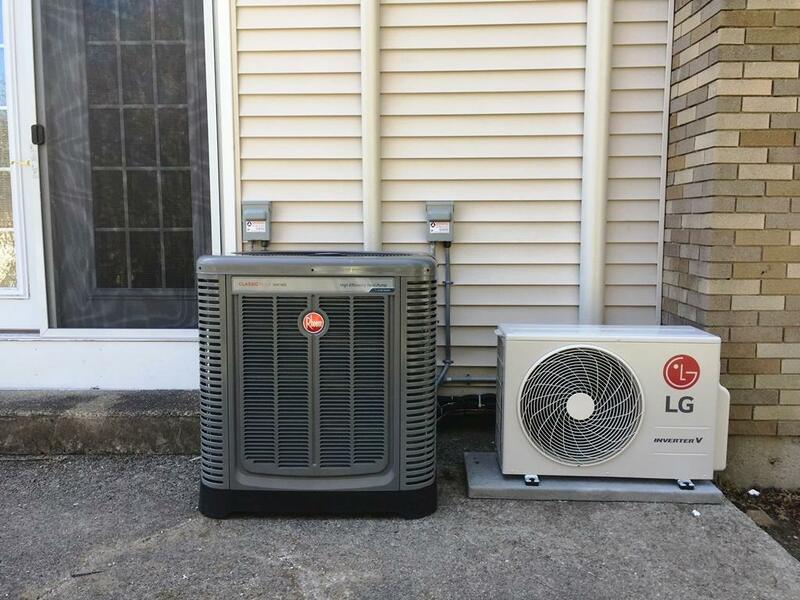 Affordable Heat and Air Company have been serving Massachusetts residents since 2005. We have a dedicated team who are always prepared with fully equipped HVAC trucks. We have the power and ability to care and service your air conditioning unit in Lowell, MA. Call us now, fix an appointment with our experts and get a solution for all kinds of AC repairs.